IBM today announced a new experimental service for its Bluemix cloud platform that provides Data Sink capabilities to its users, helping companies to tackle data overload scenarios, enhancing data archiving throughput and solving data retention issues. Building on the global network of SoftLayer data centers the new data sink as a service will feature triple redundancy for high performance and increased fault tolerance, and hence tentatively is named DSaaSTR (Data Sink-as-a-Service with Triple Redundancy). The abundance of sensors and their generated data, whether in Internet of Things (IoT) or Industry 4.0 scenarios, leaves companies struggling with data storage. Utilizing the new service they can leverage the DSaaSTR in the cloud to get rid of local data. The more data and data storage options, the more intruders. By piping data to the Bluemix DSaaSTR it will become unavailable for attackers. Local data archives require active data management, enforcement of retention policies, and rigorous disposal. DSaaSTR offers easy choices for data retention and disposal. Many enterprises have learned that even Hadoop Clusters need actively managed storage. 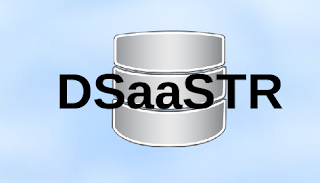 DSaaSTR can be configured to be part of a local or cloud-based Hadoop system (hybrid cloud), thus eliminating storage costs and simplifying the overall administration tasks for the cluster. The new service is made available to select customers worldwide as part of the experimental Bluemix service catalog. If you are interested in signing up please send me an email or get in touch with your regular Bluemix seller or support contact.